E. David Colbaugh, M.Sc., PE, G.E. EVANS, COLBAUGH & ASSOCIATES, INC. (ECA's) is proud of its 20+ years of success. E. David Colbaugh, M.Sc., PE, G.E. (link to resume) nurtured ECA into a firm known for its integrity and high-quality consulting work as well as expert witness representation on behalf of both defense and plaintiff interests. 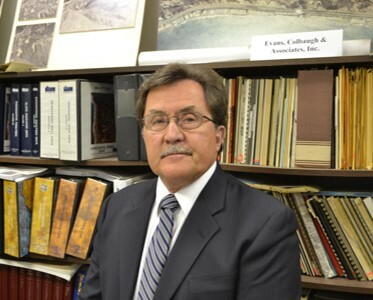 Mr. Colbaugh is highly regarded among both clients and peers for his meticulous approach and commitment to objectivity. Mr. Colbaugh is licensed in the following states: California, Arizona, and Nevada. From geological and geotechnical investigations to construction, reconstruction and repair consultation representing commercial, industrial facilities, public works projects and residential developments, you can rely on ECA to uphold principles as impeccable as the work performed on your behalf. Below describes a complete listing of ECA Client Services. ECA has earned a reputation for completeness and complete candor - serving clients on both sides of residential and commercial construction litigation. ECA engineers formulate, direct and implement geotechnical investigations to evaluate the distress conditions of existing developments, recommending amelioration of distressed features such as foundations and slopes. ECA also takes a proactive role for clients in commercial and residential land development and public work construction, exploring and analyzing subsurface conditions and directing project design accordingly.